Bixby is the revolutionary on-board assistant that learns, evolves, and adapts to you. Each feature of Bixby is designed to make your life easier, whether it's through touch, type, or voice. Bixby seamlessly helps you get things done. Bixby Home adapts to your routine to anticipate what you might need, surfacing specific apps and content based on where you are and what time it is. So in the morning you might see your Health app, or at night, your alarm and step count. 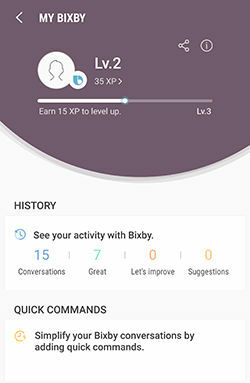 The more you use Bixby, the more Bixby will learn about you. Customize Bixby Home by adding cards of your favorite apps such as CNN, Spotify, and Uber. You can also pin your favorite card to the top. Bixby Vision is built into your Camera, Gallery, and Samsung Internet so you can identify landmarks, translate foreign languages, and shop for products online right when you see them. Focus on an object on your camera, or open an image on your gallery app, and touch Bixby Vision to get a deeper understanding of what you’re looking at. Never miss another event, appointment, or assignment—big or small! 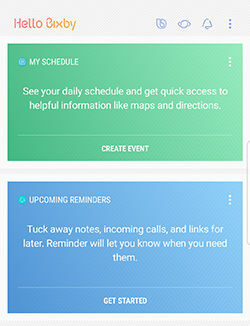 Whether it’s a to-do list or a specific reminder that needs to be brought up in the right place at the right time, Bixby can handle it. Ask Bixby to keep track of content, like a video you might want to watch when you get home, or where you left off in an online article. 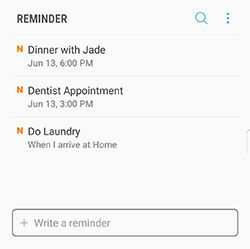 No matter what the task, use Bixby Reminder and never miss a thing again. Bixby Voice is built into your phone and apps, so you can send texts, change your settings, or make a call by simply holding down the Bixby key and speaking. Because Bixby learns and adapts to you, you can speak naturally knowing that Bixby will understand nearly everthing you say. Save the tedious task of navigating through your phone, and tell Bixby to call someone from your contacts list. 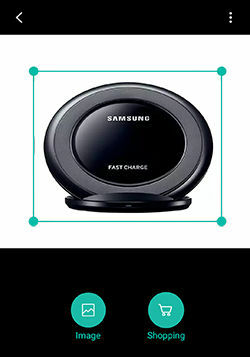 Snap a picture and tell Bixby to add a filter, and then send it to your best friend, all with one command. Change a setting without navigating to the specific settings screen. All you need to do is tell Bixby what you want! 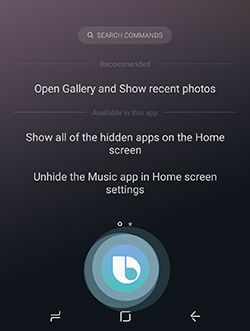 My Bixby is the central control page for Bixby. 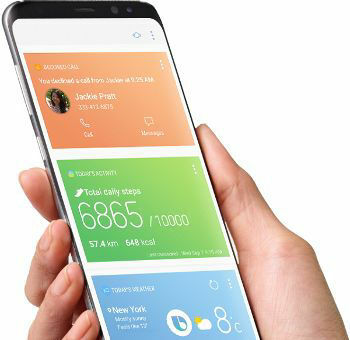 Here you can check a variety of Bixby related information, and it will direct you to information and functions that enhance your Bixby experience.